Lorenzo started his career in 1999, working in a web agency and than, as a marketing specialist, for the newborn eBiscom Group (today Fastweb) a leading Italian digital and telecommunication group that was a pioneer in the Telco and new media, in which Lorenzo has covered a variety of roles related to the launch of e.Procurement and e.Commerce services. 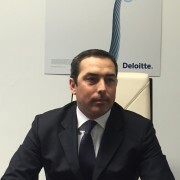 In 2008 he joined Deloitte, the biggest consulting firm worldwide. As a Partner in the TMT area, Technology Media and Telecommunication, he specializes in strategic and operational advice for big multinational enterprises, particularly in the fixed and mobile communications and technology. He helps clients go through the digital transformation heavily leveraging the technology. Lorenzo has more than 20 years of experience in the technology and web fields. Since he was 16 he is passionate about the web, new media and computer science in general, for which he has a strong technical background. He strongly believes that the technology wave is the most impactful driver of change in the human life. He is a Lecturer on Digital Marketing and eCommerce for major business schools in Italy.